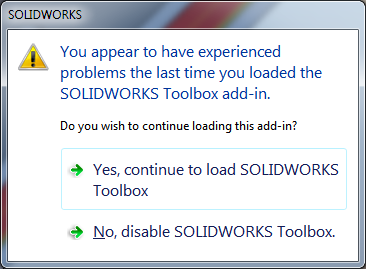 If you pick yes, continue to load Toolbox, SOLIDWORKS possibly stops responding! However, if you pick No, disabling Toolbox, everything seems to work fine. To fix this error you should delete the ‘tb_default.sldedb’ from ‘<C:\Users\<user>\AppData\Roaming\SOLIDWORKS\SOLIDWORKS 2017\Toolbox\data’. 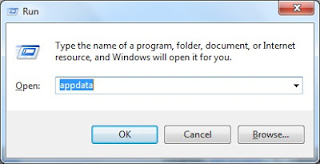 In Windows 7/Vista a user can open his/her application data folder by running the command ‘appdata’ from Run window. Navigate to the specified path and delete ‘tb_default.sldedb’. 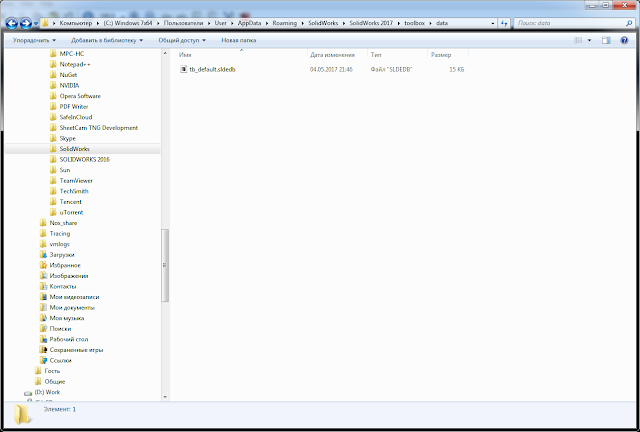 Then launch SOLIDWORKS, you should have no issues adding the Toolbox Library or Utilities add-in. This issue has been fixed in SOLIDWORKS 2017SP4.